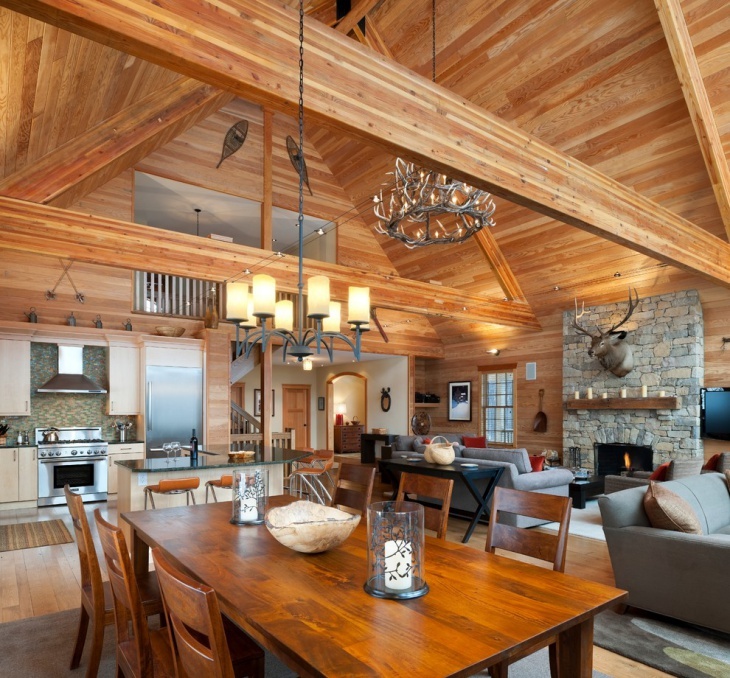 For those living in the mountains and snowy cold areas, incorporating chalet interior design is a must. 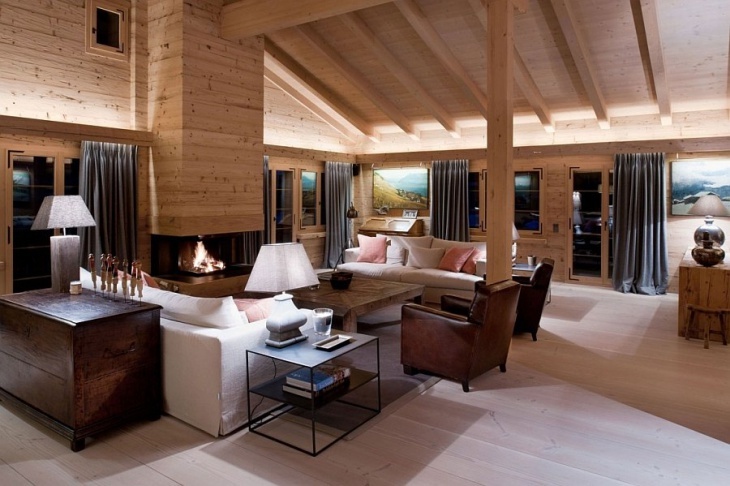 Modern chalet interior design gives some great ideas on creating a sleek and elegant looking living space. Moreover they are warm and rustic and perfect for cold regions and snowy places. We all design and decorate our houses based on how our lifestyle is, and also decorate it depending upon the seasons. 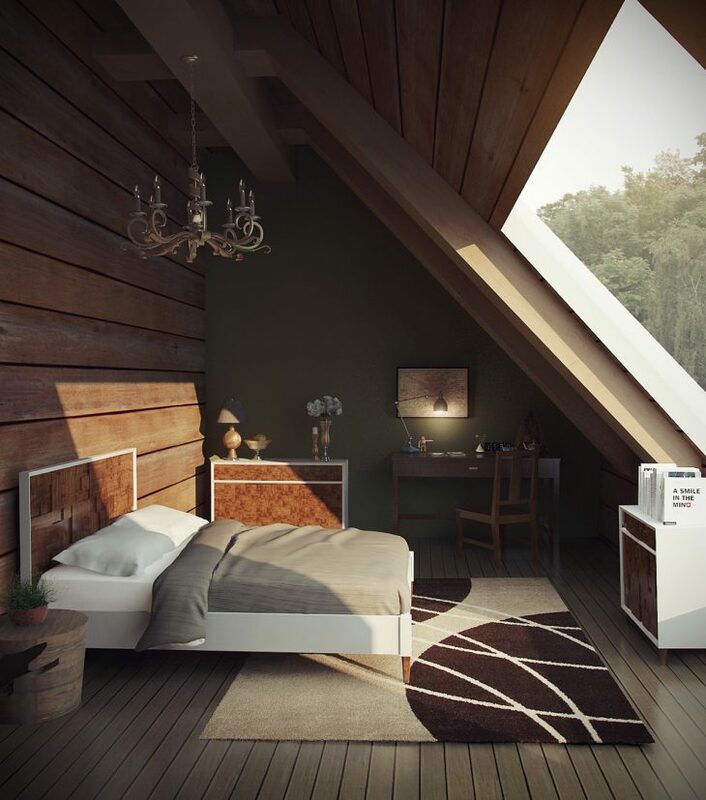 Chalet designs are not just limited to living rooms, but is also incorporated in bedrooms, kitchens, etc. You may also see home office interior designs. 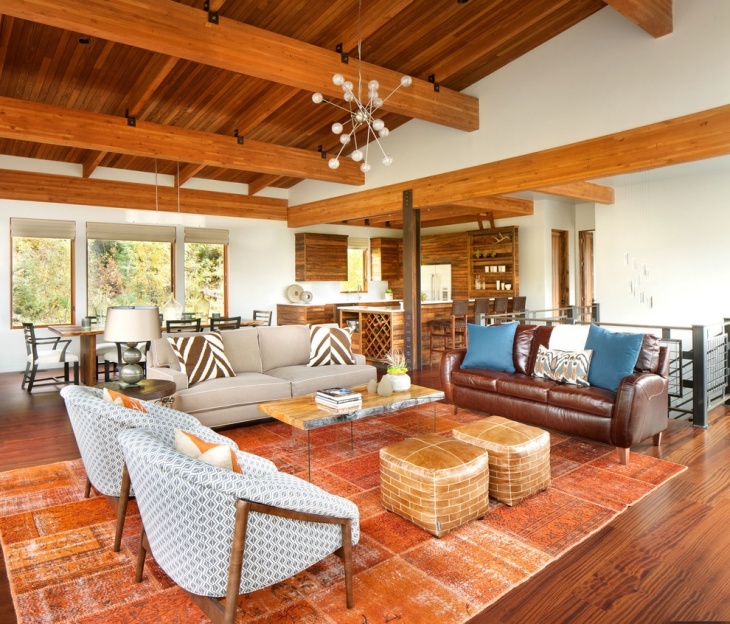 This is a contemporary living room featuring modern chalet interiors with a warm and rustic floor. It is a transitional room that features both dining room and a sitting space layout. The colors used here are warm and perfect for a snowy cold season. This is a serene living room which is located near the Atlantic beach ocean and has the beach style incorporated within. 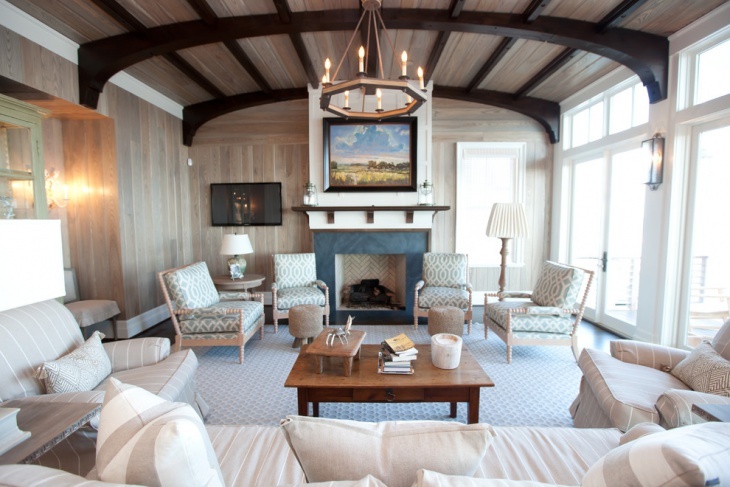 The ceiling decoration is made of wood paneling and features an updated brick fireplace. 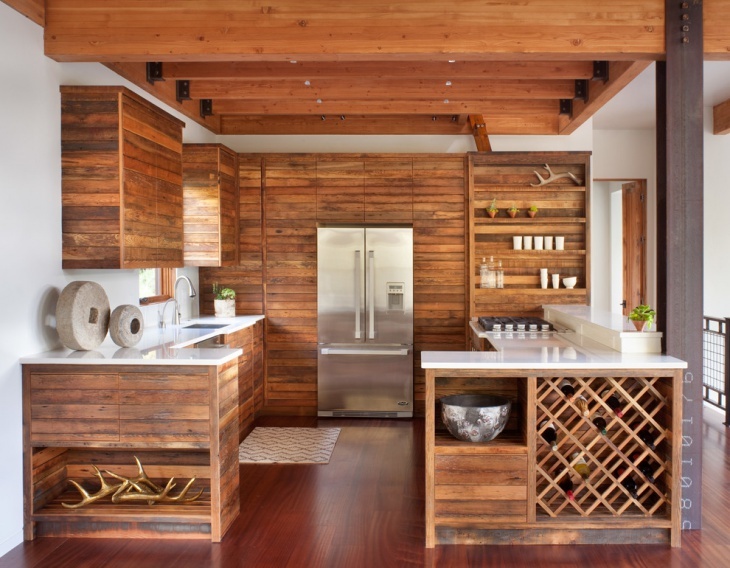 To add a warm effect to the room, the walls are custom made in ash wood. 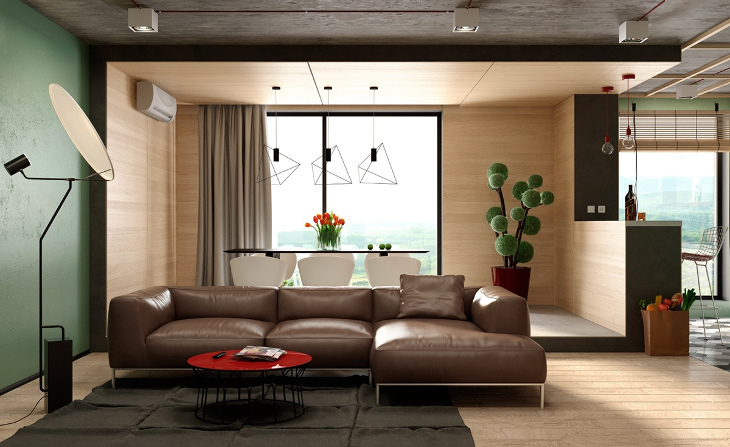 This beautiful contemporary style chalet interior has a warm and rustic theme featuring warm tone colors like brown, beige, gray and white. The ceiling architecture is unique and is carved in the traditional style with slope wooden planks. This is a modern ski chalet interior design in a rustic living room with hardwood floors in a medium tone, white walls, lounge furniture and a wooden kitchen bar. This room is surrounded with a lot of wood, both the interiors as well as the furniture. This is a luxurious chalet interior design idea which is very warm and rustic with a modular chalet ceiling architecture. It features several types of wooden décor. The flooring is also made of lightwood and features a leather couch in a classic English color. You may also see white brick wall interior designs. 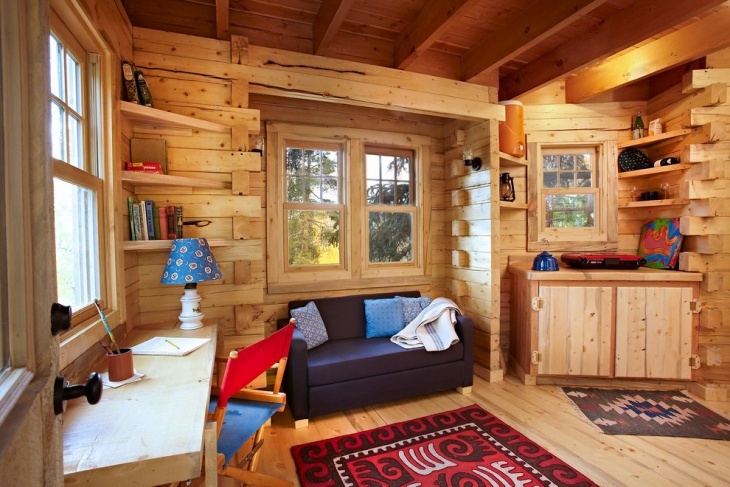 This is a small rustic themed home office featuring chalet interiors and made fully of wood. 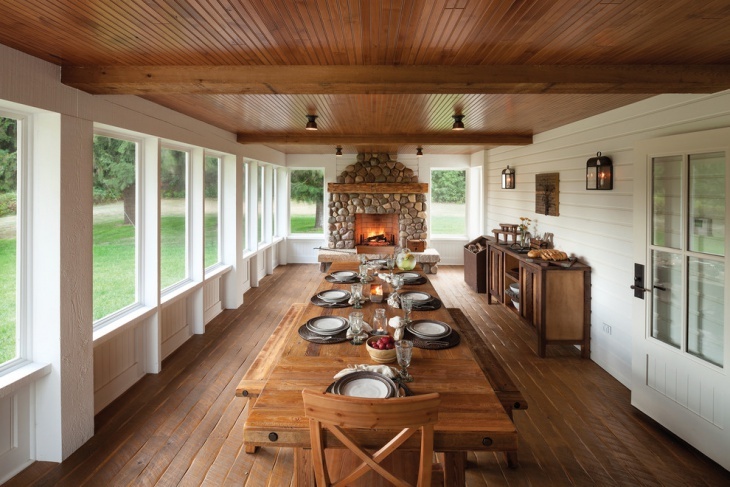 It looks similar to a cottage with complete wooden interiors surrounding the space. This is a gorgeous looking contemporary living room with gray sectional sofas with transitional decorative pillows in yellow color. 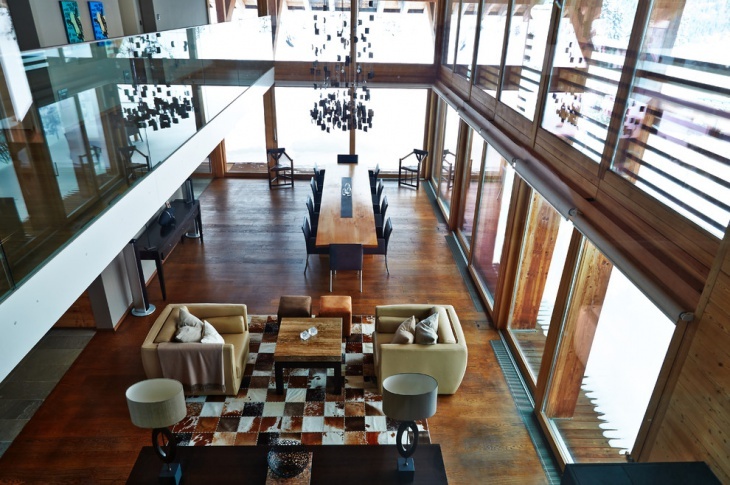 It is a contemporary chalet which uses modern elements with a light cherry laminate flooring made of wood. 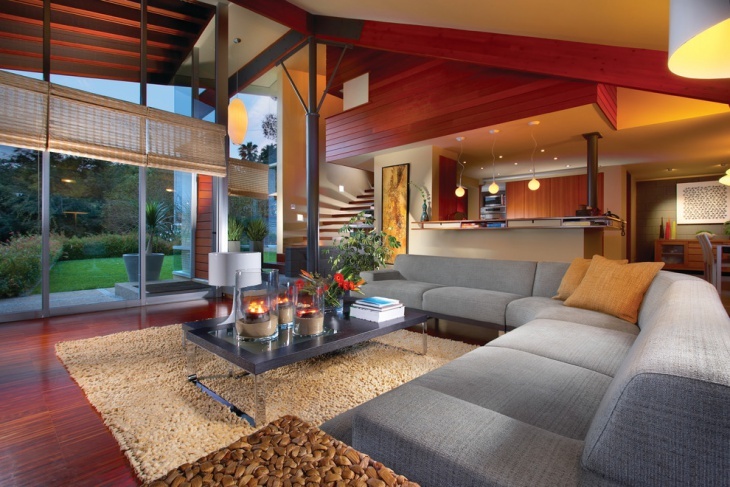 This is a contemporary living room featuring wood interiors, slanted windows in chalet design. The house is built by the lake and has the traditional wooden chalet interior design. 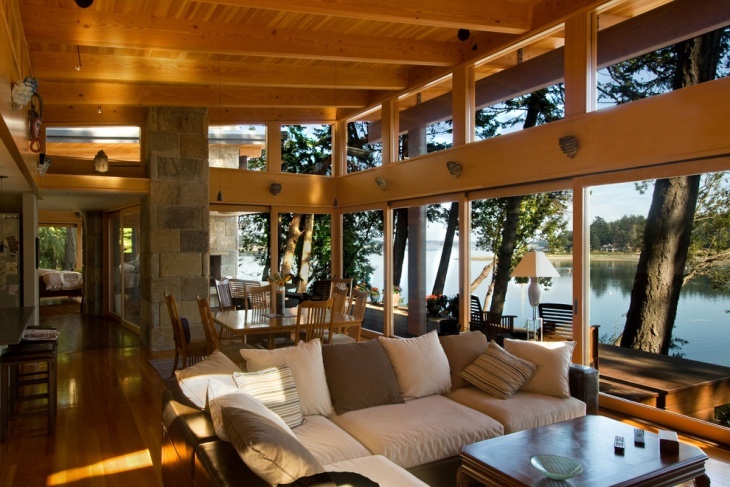 It features huge floor to ceiling windows which overlook the view of the lake. 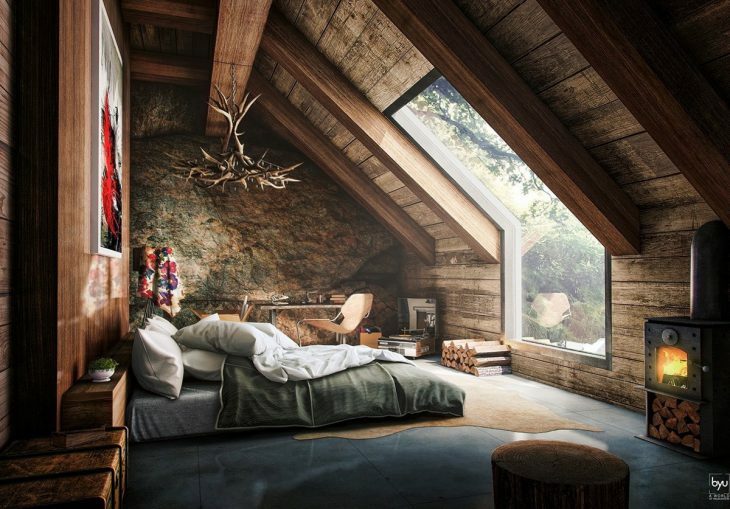 This is a mountain chalet interior design with a very warm and rustic theme. It contains rustic interiors made of wood and stone. It has a rustic loft interior railings, stone backsplash in the fireplace with a rustic finish. 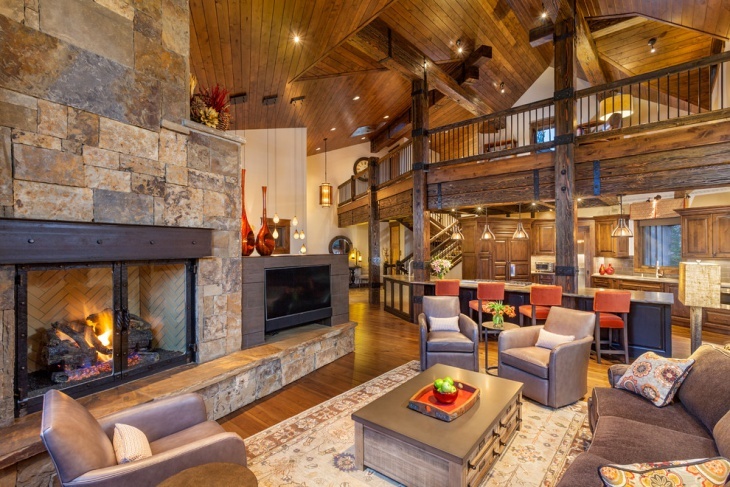 It has a true mountain chalet interior design appearance. 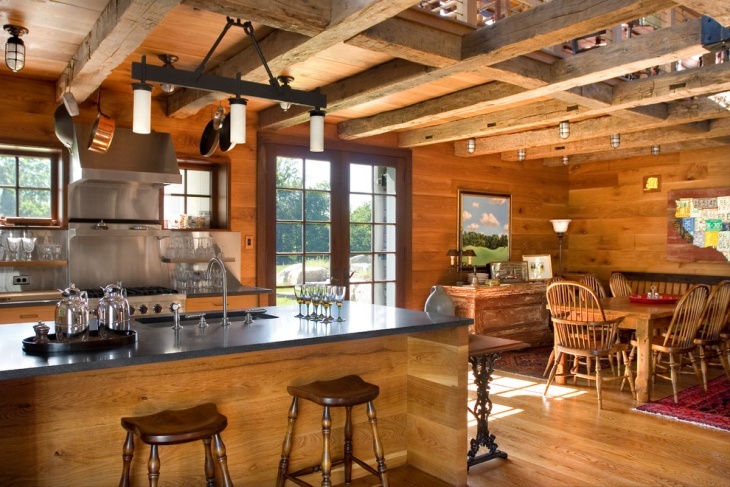 This is a farmhouse kitchen built in a traditional rustic chalet interior design. It features medium tone wooden cabinets and medium tone hardwood floors. The ceiling contains wooden railing with a lot of traditional lights including pendant lights. Chalet interiors are integrated in houses located at snowy or mountain regions and features only warm and rustic themed furniture. The architecture in the chalet interior design houses is very unique and is mostly traditional. You can check out the above chalet interior designs and come up with your own unique design for your living space. 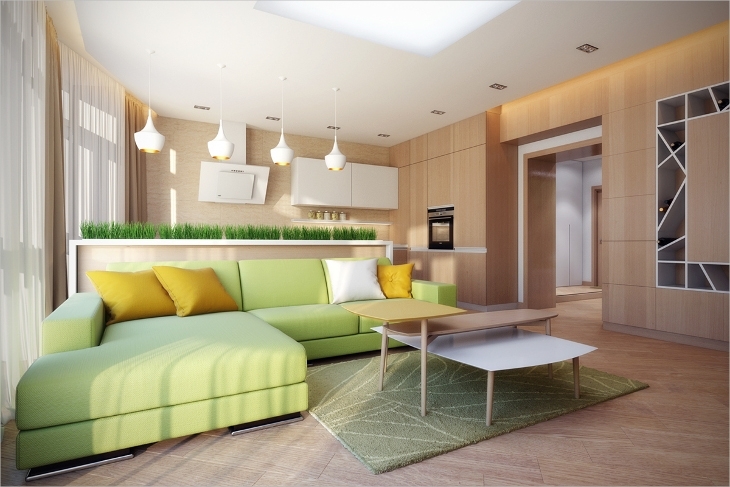 You may also see modern house designs.